Oven Cleaners Commercial & Residential Kitchen SE Lambeth | Quality Property Care Ltd.
Every housekeeper needs a fast and reliable professional oven cleaning! Quality Property Care Ltd. offers it at an affordable price and with no impact on your healthy lifestyle! 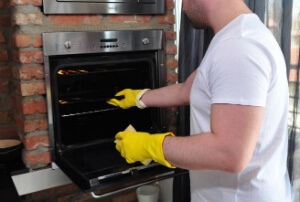 Don't wait to order your domestic and commercial oven cleaning on 020 3746 4287 on every day of the week with no exception for weekends or holidays! Upon your request we will clean your entire kitchen with the appliances with a discount on the price. We can also clean range half size ovens, single wide ovens with their racks and trays, master range excluding burners, small and large barbecues, warming drawer doors. All of our cleaning is done using safe materials and detergents which allow us to remove grime and grease without poisoning the surfaces that touch your food. The biodegradable solutions allows us to safely clean your kitchen and appliances without you having to worry about hazardous residues. Don’t wait any more and ensure that your food is tastier, healthier and your oven will live and work longer and efficiently. Book the deep oven cleaning services of Quality Property Care Ltd. today! Apart from the aesthetic aspect, the professional cleaning of your oven will first of all lead to faster cooking of your meals, because a dirty oven requires more time to warm up. Moreover, the food will be healthier once all the burnt harmful carbon and all other toxic residue in it are removed. You will prolong the life of your cooker or oven. 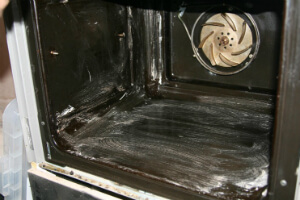 The regular deep oven cleaning is a wise investment for both domestic and commercial customers. Book 2 or more cleaning services at once and you will immediately receive an amazing discount from Quality Property Care Ltd.! Don`t give up healthy cooking and don't put on risk people around you! Get the oven cleaning Lambeth SE deal now! Contact us on 020 3746 4287 and get your free quote or ask for more information. Keep cooking healthily with Quality Property Care Ltd. and order professional oven cleaning service today!